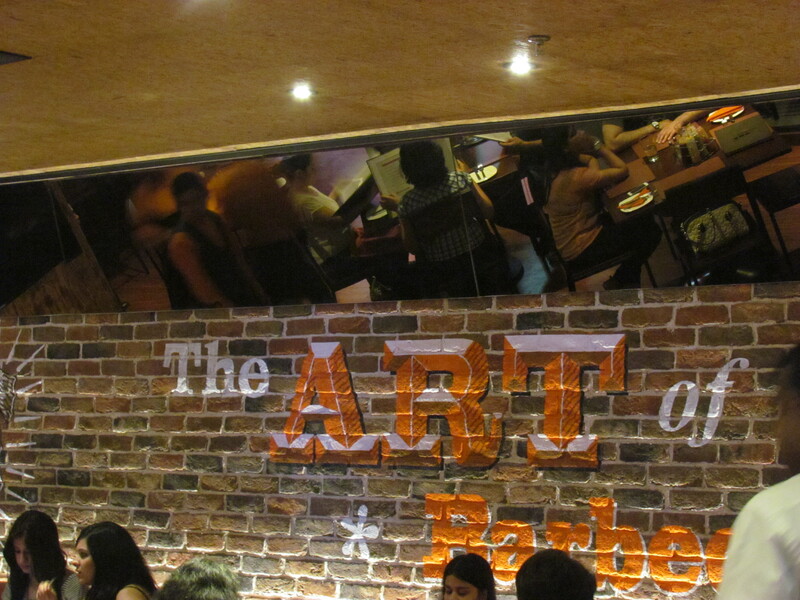 Cool hangout place with a strange mix of average, good & outstanding food topped by good attentive service. Cyber Hub is an amazing place. 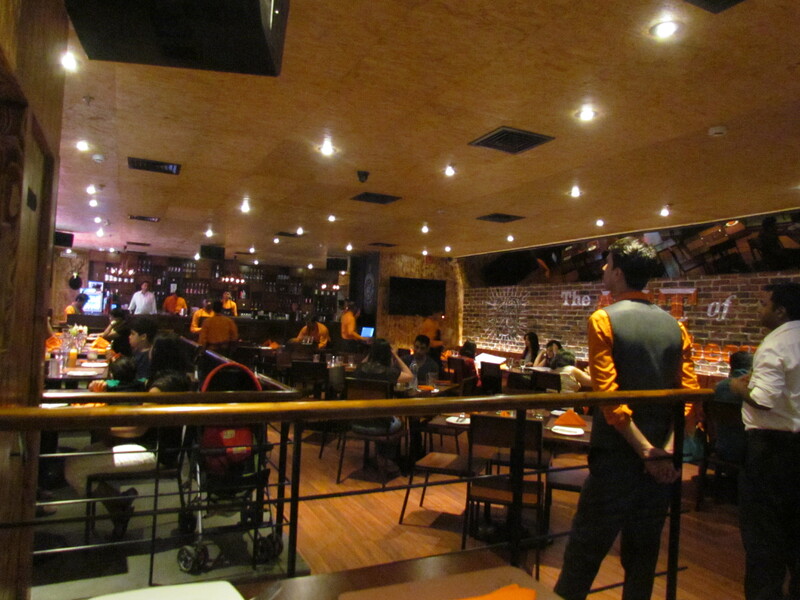 Open air, not claustrophobic, Nice look & feel & a hand picked selection of restaurants. Low budget, medium budget, ‘I don’t care about budget’ – all r welcome here. 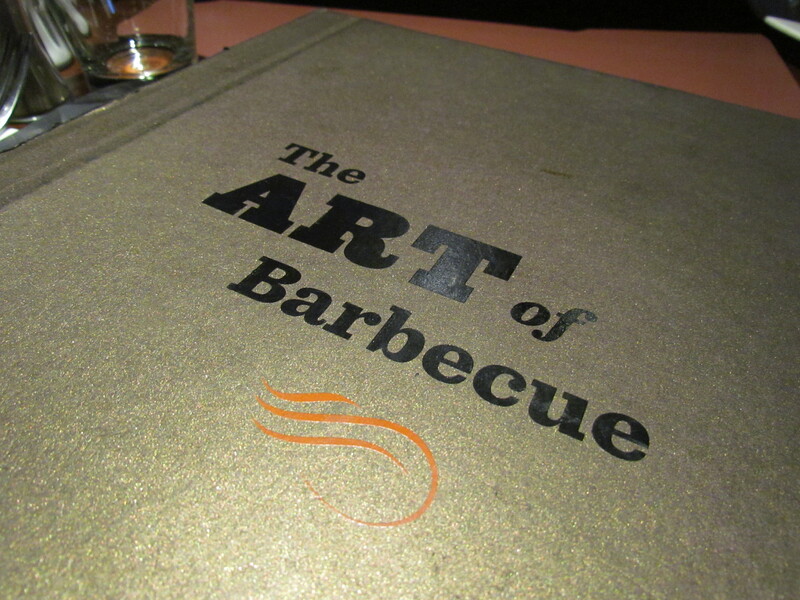 Whenever a new restaurant opens, end up eating out there & writing about it. 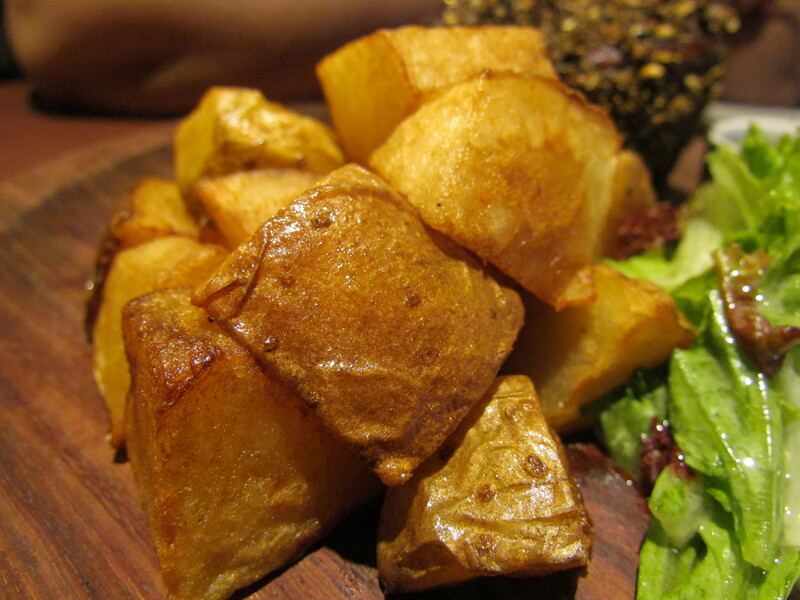 To read the previous reviews of restaurants at cyber hub, pls click here – Cyber Hub restaurant reviews. 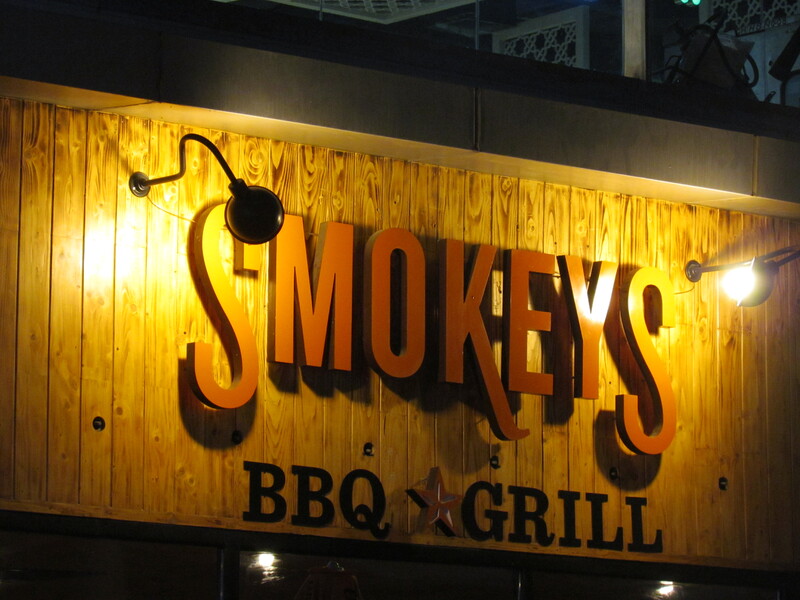 So when Smokey’s opened, we found ourselves there on one evening. The look & feel was grunge but the lighting was pretty warm. Graphiti style writing on the wall made it distinct. 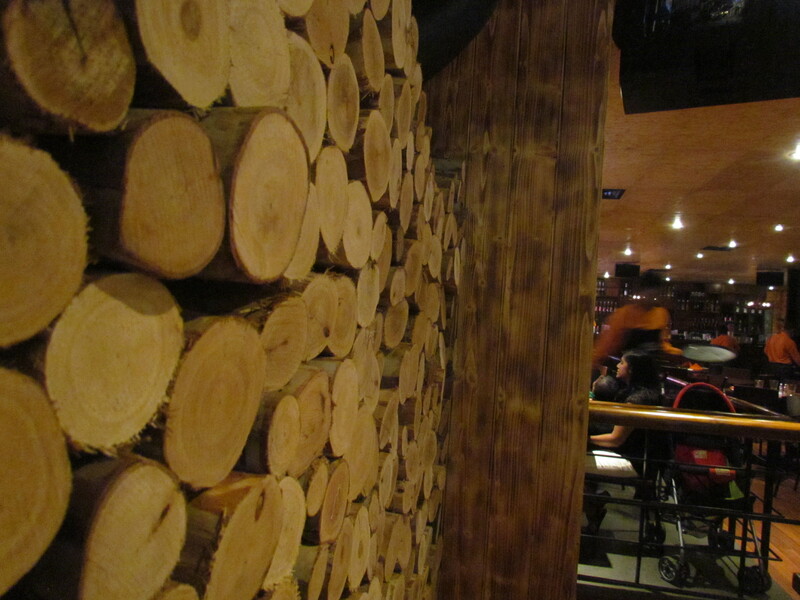 A part of the wall was made from wooden logs. 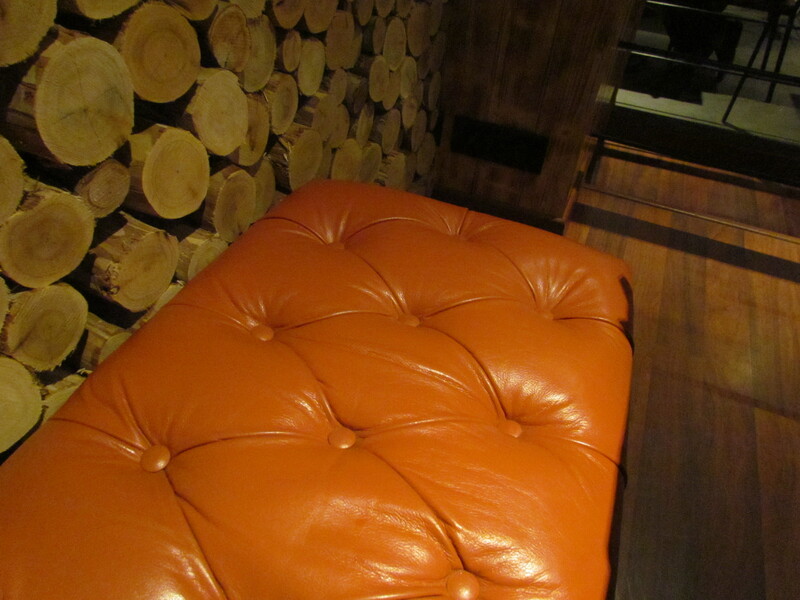 The seats in one part of the restaurant looked pretty ‘traditionally plush’. Staff were very attentive & service was good. 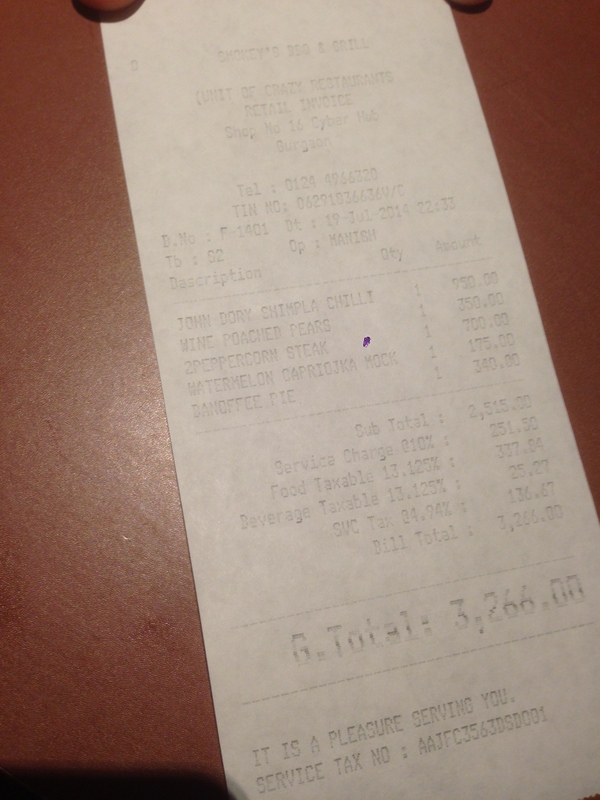 The menu card was few pages long – not too short, not too long. It had good description of the dishes. 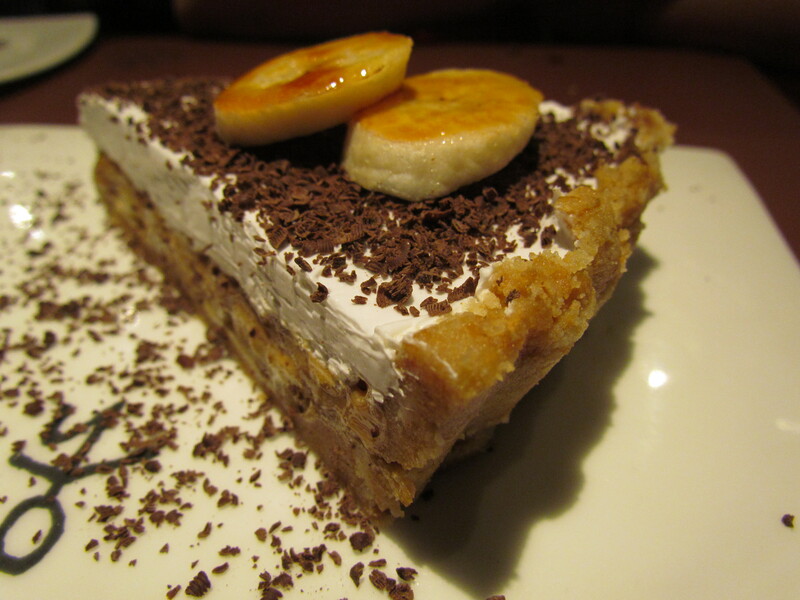 Food, as I said, was of all kinds – average, good, outstanding. So I have no particular generalized opinion. Watch out for the average rating at the end of the post. 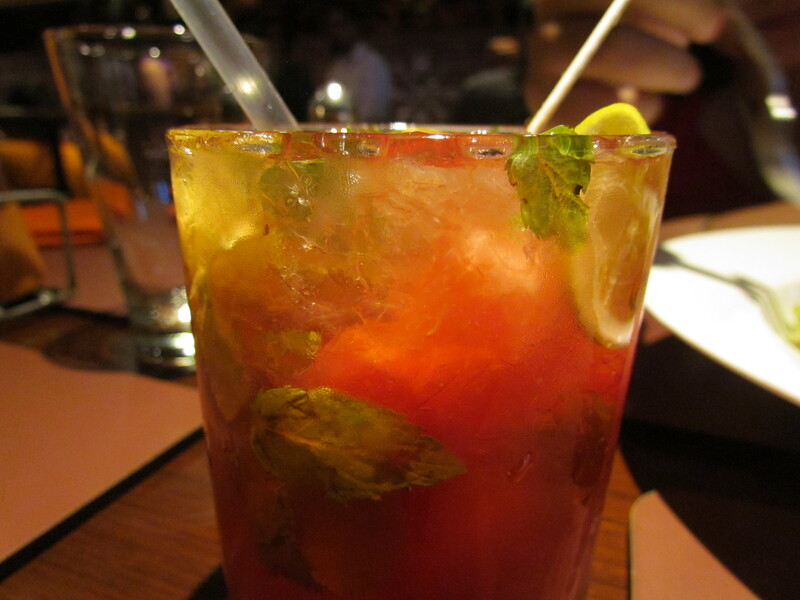 We tried Watermelon caprioska mocktail. It was sharp, tangy, refreshing. I think they do not have alcohol licence so far. 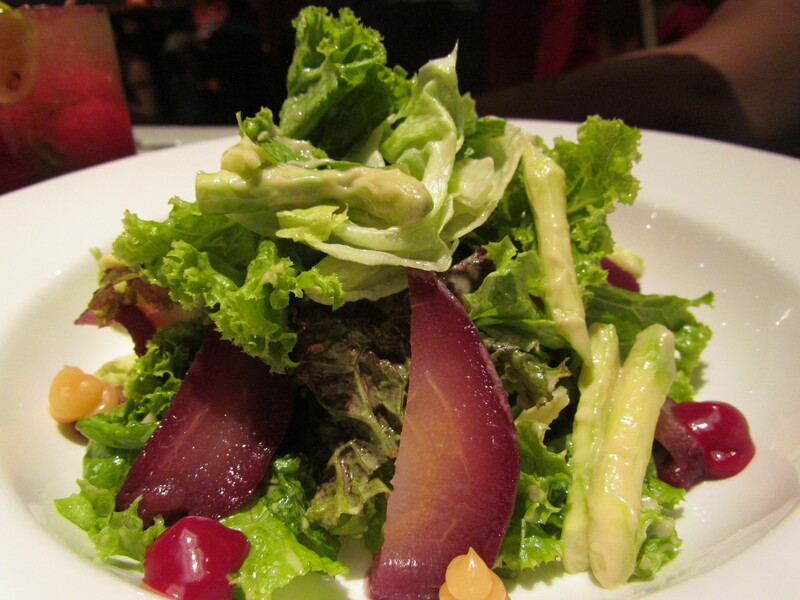 We started the evening with Wine poached pear salad. 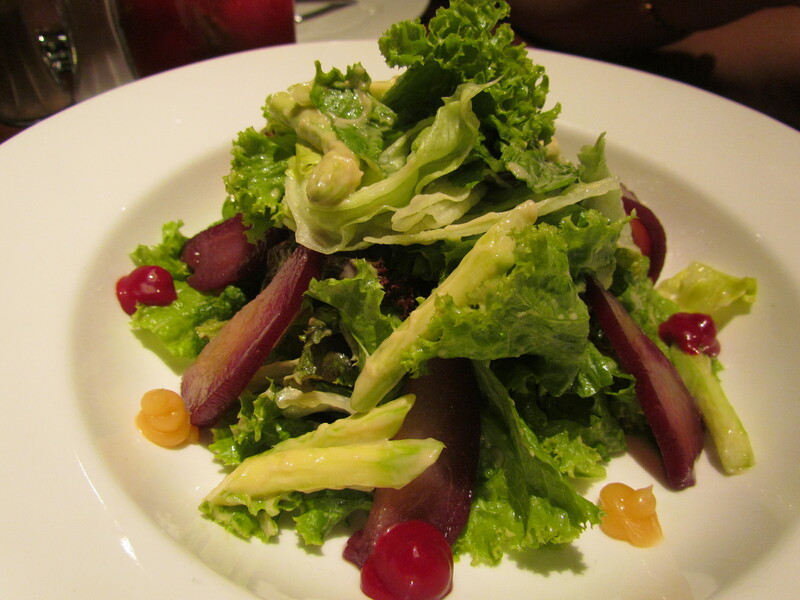 While ordering the salad we did not expect it to b a sweet salad but it was sweet. Well, logically after seeing the ingredients we shud hv assumed. The salad had good crunchy leaves. It had a good balance in overall taste. It was good on its own. 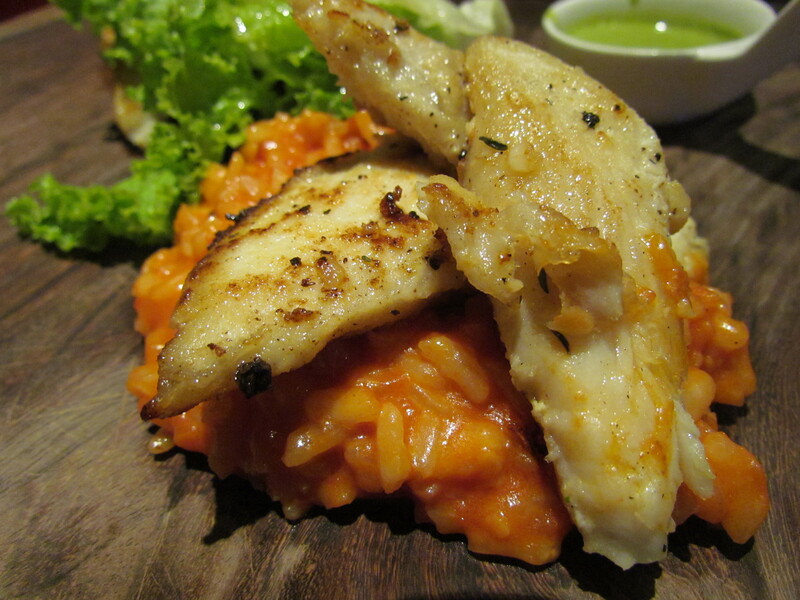 We have a love for John Dory (fish). 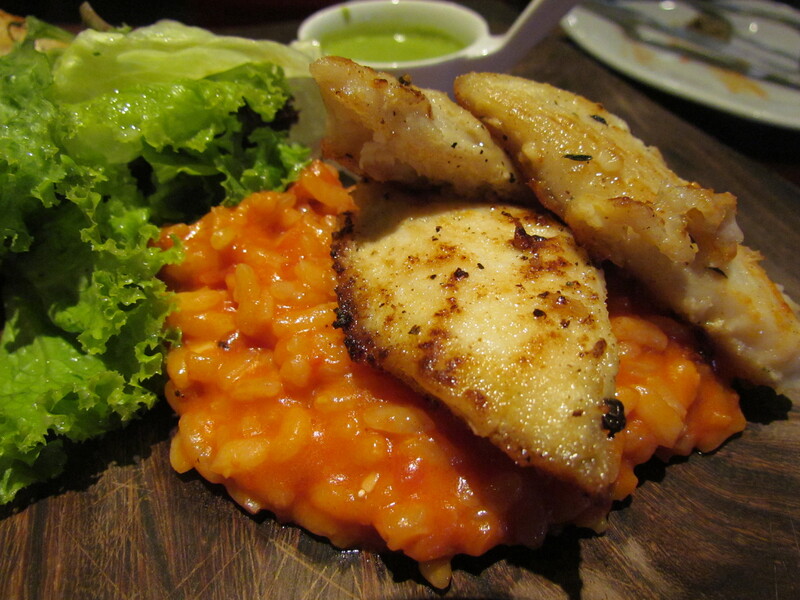 So we cud not resist ordering John Dory Shimla Chilly with risotto. However as we took a bite into the fish, all the hope (of a great fish dish) flew by. Someone in the kitchen had Murdered John Dory. May it’s soul RIP. John Dory is known for its layers and extreme juicy ness. It is usually cut in fat pieces so that juiciness is retained . Whatever b the cause of murder, the fish was totally not juicy, flakiness cud not b felt, the fish was cut in thin slices – it did not feel anything like a John Dory. Rate the fish 1/5. Risotto was very good. It was quite tomatoee but really nice inspite of it. 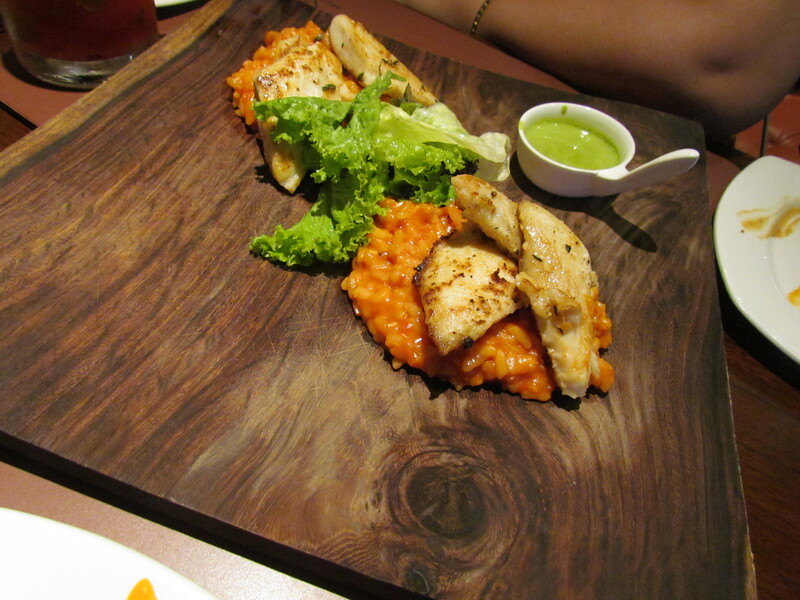 I wud say perfect texture of risotto in general and rice morsels in particular. Loved it. Rate it 3.5/5. Overall rating of this dish averages out to 2.25/5. 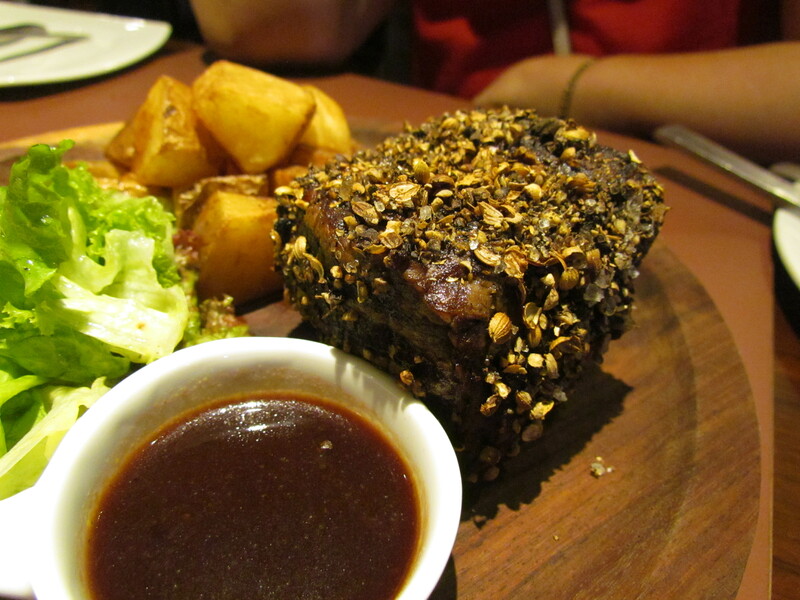 We then moved to Peppercorn steak Tenderloin – one of the best memories of tenderloin ( outside of traditional way of cooking) was born that evening. 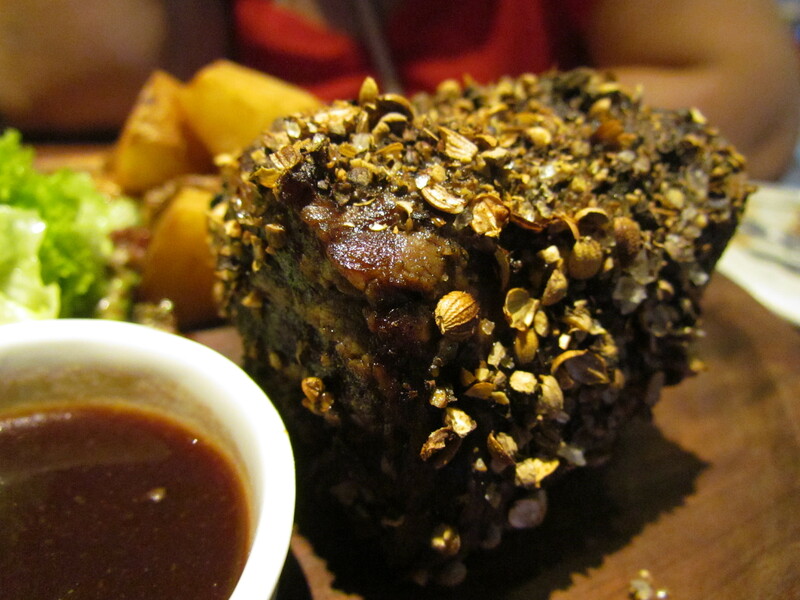 Sea salt, crushed coriander seeds (dhania) & coarsely freshly crushed peppercorn formed the top layers. 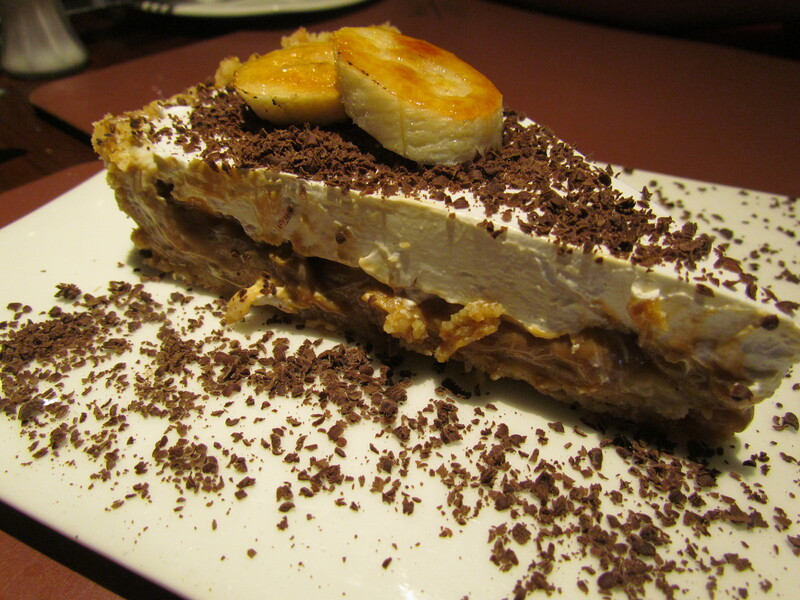 For desserts we chose Banofee pie. It had a salty crust & sweet top. This combo created a good balance. If the grated chocolate wud hv been more bitter, it cud hv given a new dimension. Overall rating of food & beverages at Smokey’s averages out to 3.9/5. 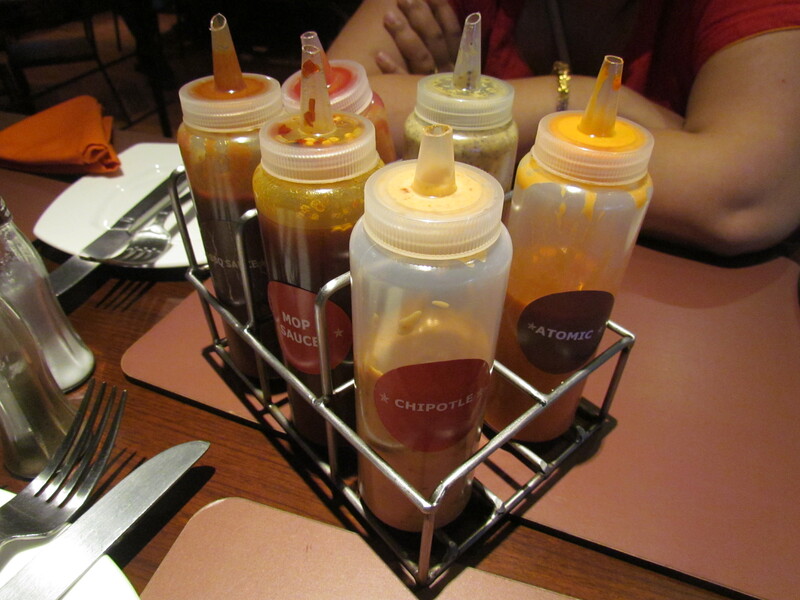 I wud revisit to have more tenderloin & try out the burgers. Look forward to hearing ur experience.